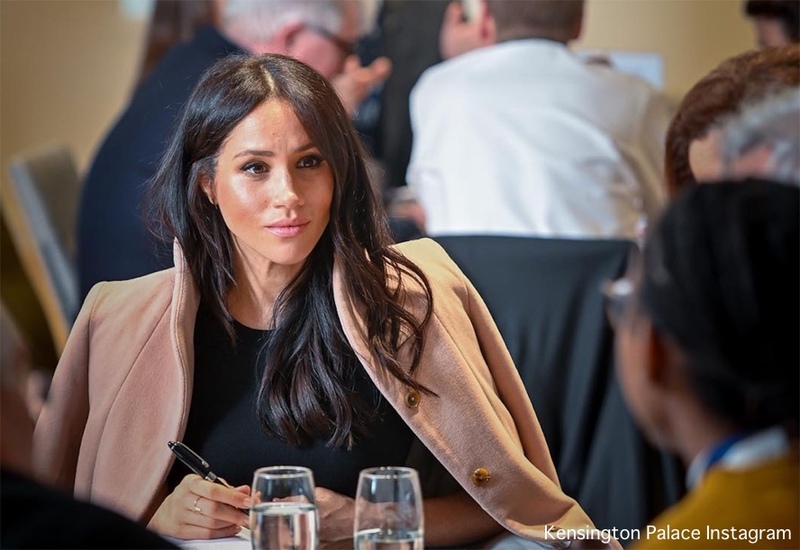 If you’ve been wondering what The Duchess of Sussex has been up to since since the Thanksgiving holiday, she has quietly been keeping busy with functions and engagements that have not been heavily publicized. We begin with a very quick update about an engagement this afternoon, a meeting of The Royal Foundation. Below, the Duke and Duchess of Sussex and the Duke and Duchess of Cambridge at February’s Foundation Forum. Meghan and Harry attended a Foundation board meeting this afternoon. Following the meeting they went to a holiday reception. My guess is that this was the annual holiday event for Foundation staff, but I could be mistaken. 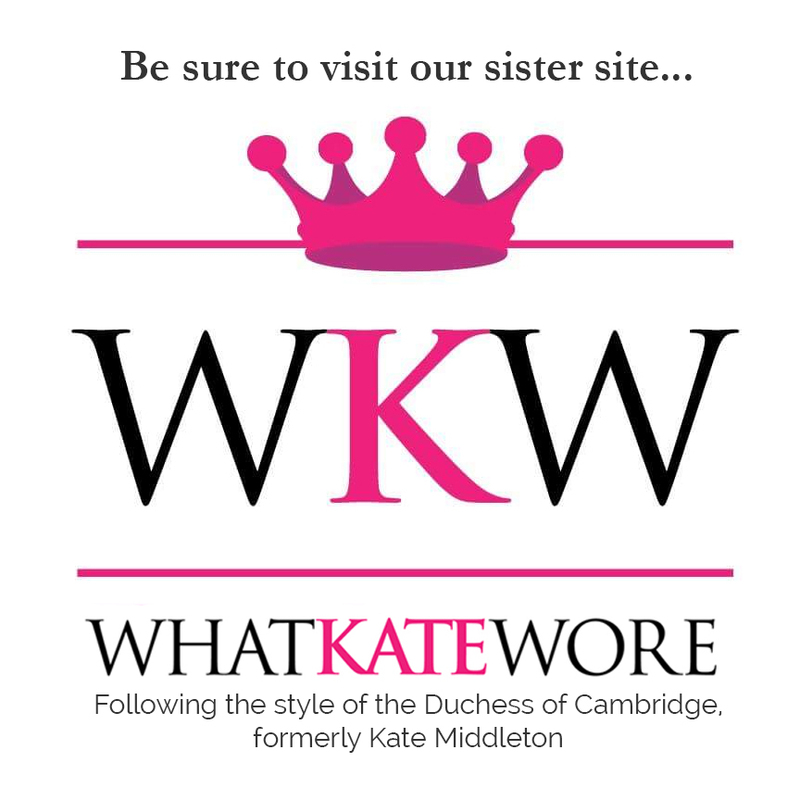 UPDATE Dec. 7: The post originally said Kate and William also attended the meeting. This is not the case. 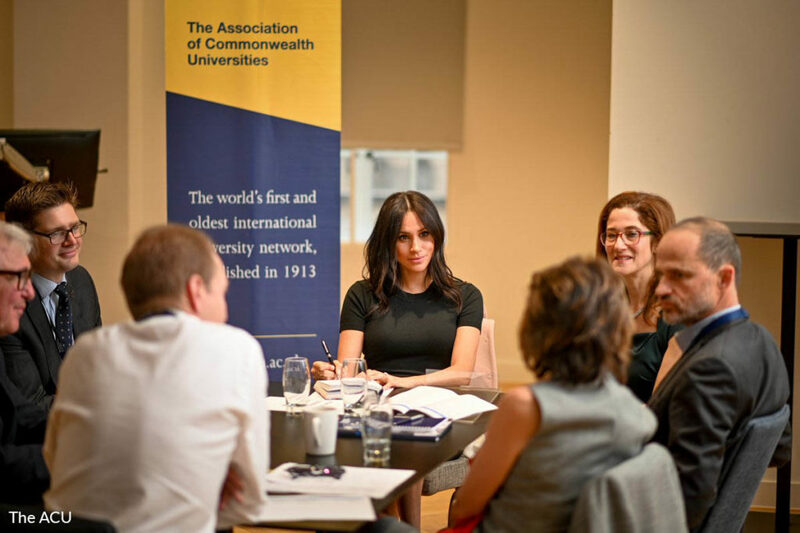 Now to Meghan’s participation yesterday at a privately scheduled event hosted by The Association for Commonwealth Universities (ACU). University leaders, academicians, and students met to discuss how to build a better world through higher education. Professor Laura Hammond, who attended the meeting, described the discussion as “excellent”. Writing on Twitter, she said: “Thanks @The_ACU for bringing us together! We had an excellent discussion about how research can tackle the problems of slavery and human trafficking. Everyone should be afforded the opportunity to receive the education they want, but more importantly the education they have the right to receive. And for women and girls in developing countries, this is vital. When girls are given the right tools to succeed, they can create incredible futures, not only for themselves but also for those around them. Another view of the Duchess at the meeting. The Duchess of Sussex is to put education for women in developing countries at the heart of her public work, when she announces her first royal patronages next year, Mail Online can reveal. Meghan, 37, has been having secret briefings with a number of organisations, including CAMFED – the Campaign for Female Education – which works in several African countries, including Zambia, which was visited by Prince Harry last week. It is understood that she and Harry are keen to work together on the issue in their role as roving Commonwealth youth ambassadors. The Duchess is expected to announce her first patronages and other details about her charity work sometime after the first of the year. Now for a quick look at what Meghan wore for yesterday’s meetings, starting with her coat. It looks like the Duchess was wearing the Wilfred Cocoon Coat ($350). The piece is done in a wool/cashmere blend that we’re guessing is warm and snuggly. 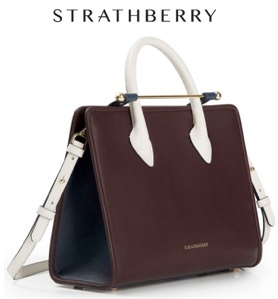 The structured design features a stand collar, front pockets, and back vent. 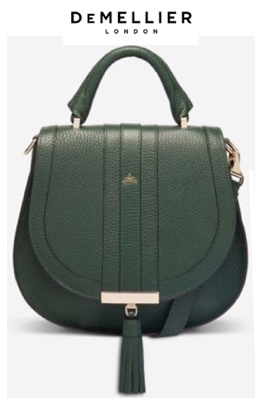 Wilfred is one of the house brands at Canadian retailer Aritizia, one of Meghan’s favorite haunts. Our thanks to Meghan’s Mirror for the coat ID. 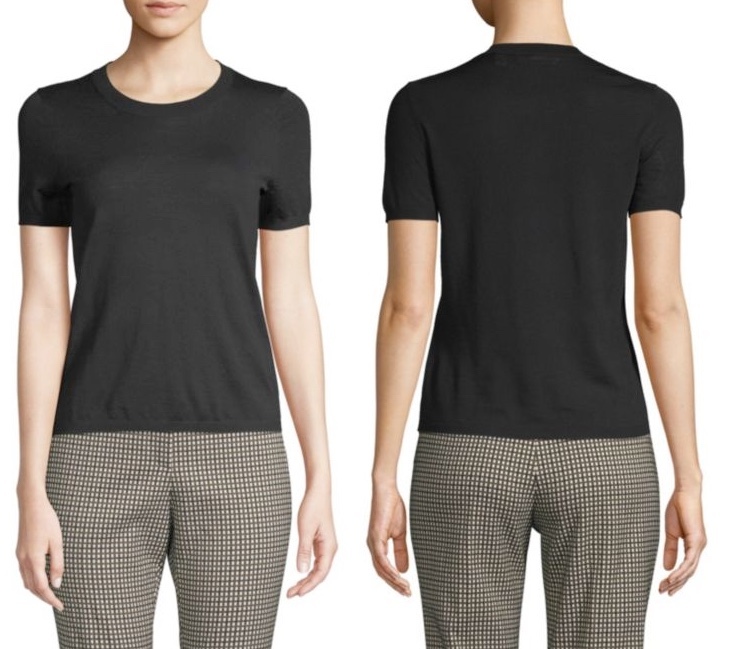 Beneath the coat the Duchess had on a tee that Elizabeth of Meghan’s Fashion believes is the ‘Filonka’ by Hugo Boss ($165). A tip of the Tiara to Elizabeth, because these can be very difficult to ID, but we think she is spot-on with the sweater. It is made of virgin wool and has ribbed trim at the collar, hem and sleeve cuffs. 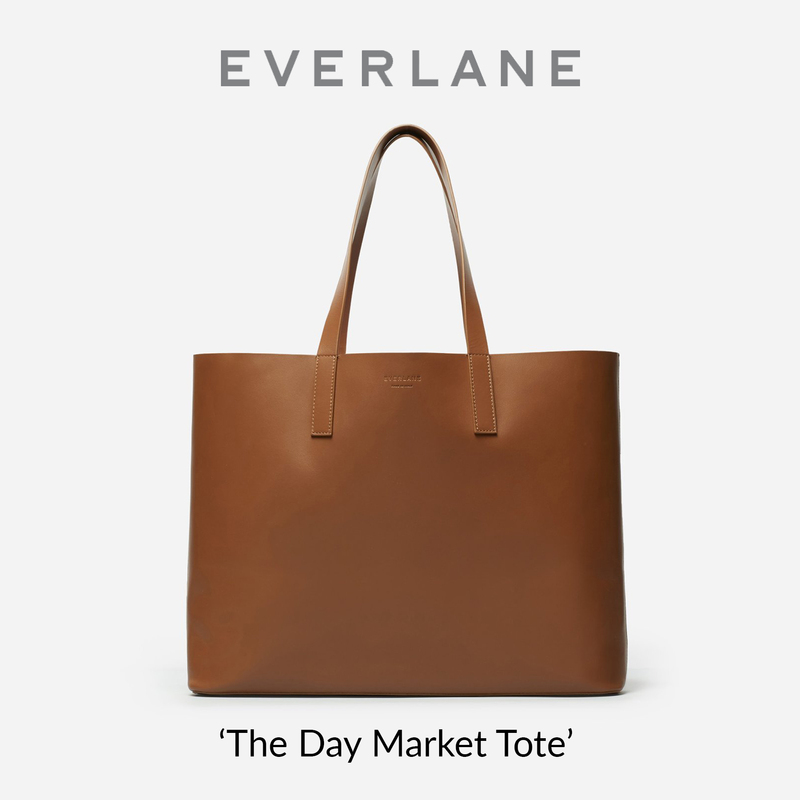 We show the piece at Saks; originally priced at $165, it is on sale for $99. 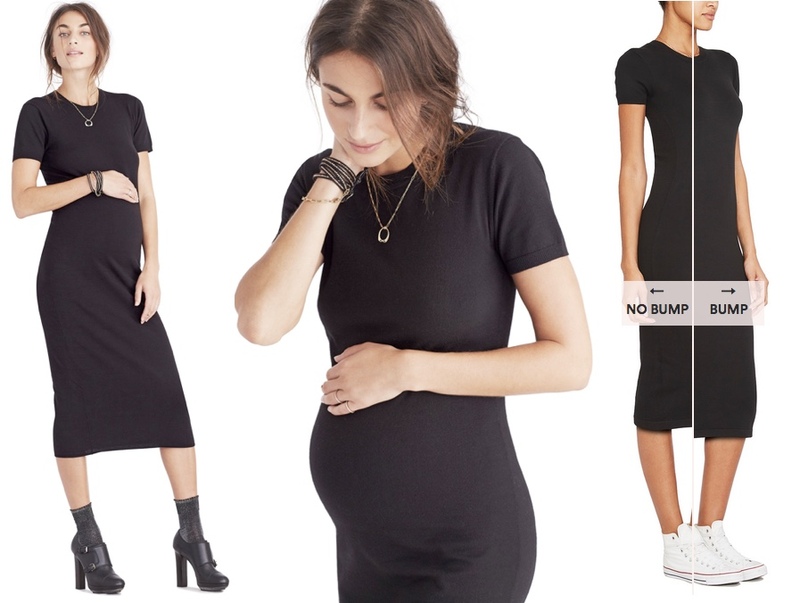 UPDATE JAN 10: We have corrected info to share: it now appears Meghan was wearing a maternity dress from Hatch Collection. The Duchess wore the dress to an engagement at Smart Works today (January 10th), one of her new patronages, and it looks like a match for this ACU meeting. The dress is the Eliza ($218), a stretch knit. 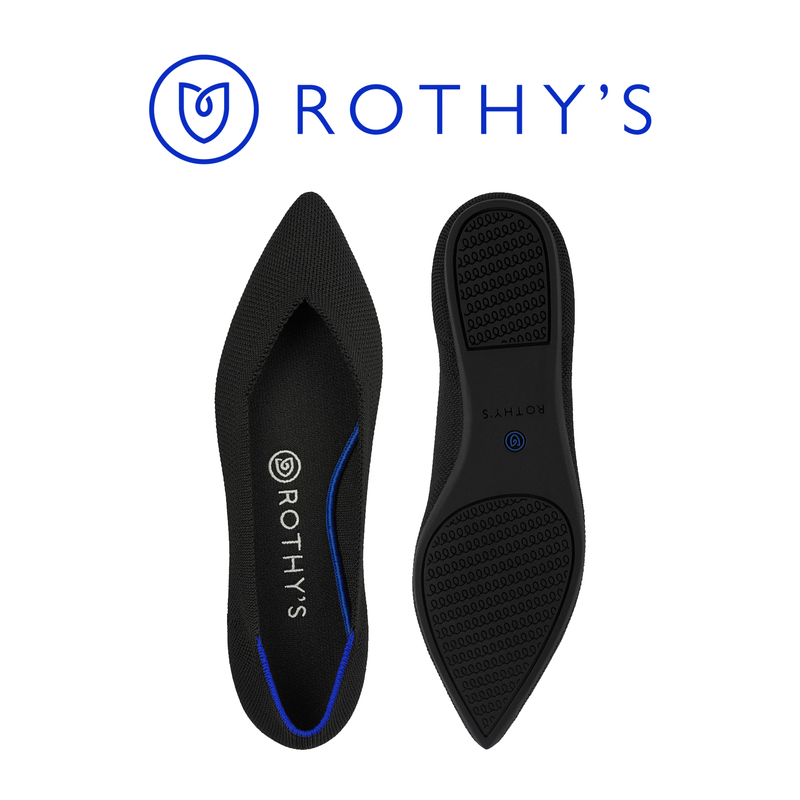 Our thanks to Elizabeth of Meghan’s Fashion and Charlotte of Mad About Meghan for suggesting this! Ms. Obama as she makes her way to the stage. 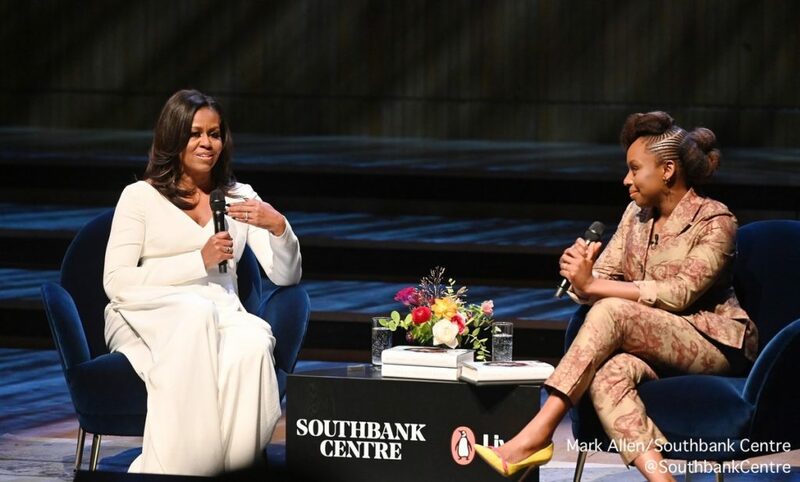 The Duchess and Ms. Obama are reported to have met met privately afterwards to discuss shared interests and causes, like the importance of girls’ education, as well as the experiences of pregnancy and raising children. Kensington Palace has confirmed Meghan’s attendance at the event, but she was there privately, not in an official capacity. A friend who was also at the event said Meghan “had a long private audience with Michelle. The friend also revealed that Meghan felt she had been welcomed in London. The Standard understands that many of the charities to which she is due to be appointed royal patron in the new year will be London-orientated. They spoke at length about the importance of supporting and empowering women across all cultures and communities. 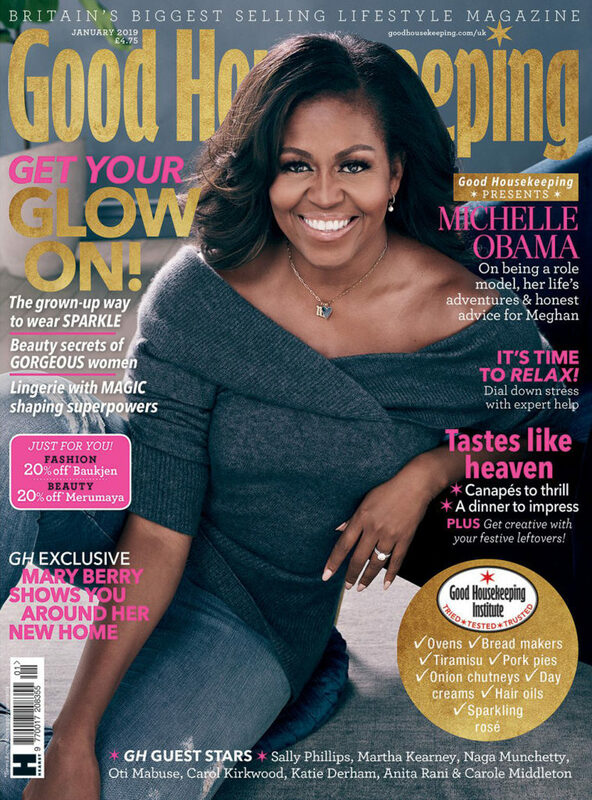 Also on Monday, Good Housekeeping UK published an interview with the author and former first lady. In the article Mrs Obama is asked what advice she would offer Meghan. “Like me, Meghan probably never dreamt that she’d have a life like this, and the pressure you feel – from yourself and from others – can sometimes feel like a lot,” she said. “So my biggest piece of advice would be to take some time and don’t be in a hurry to do anything. I spent the first few months in the White House mainly worrying about my daughters, making sure they were off to a good start at school and making new friends before I launched into any more ambitious work. 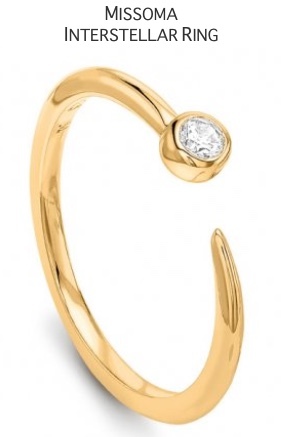 I think it’s okay – it’s good, even – to do that,” she continued. You can read the entire Good Housekeeping piece here. 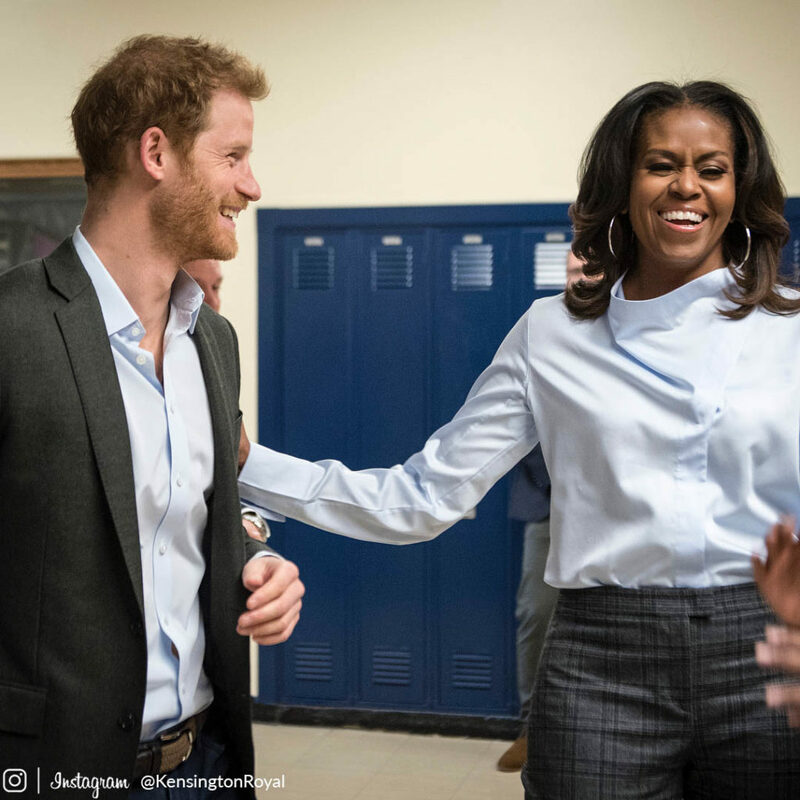 Monday night was apparently the first time Meghan and Mrs. Obama met. Prince Harry has met the Obamas on several occasions in the past. 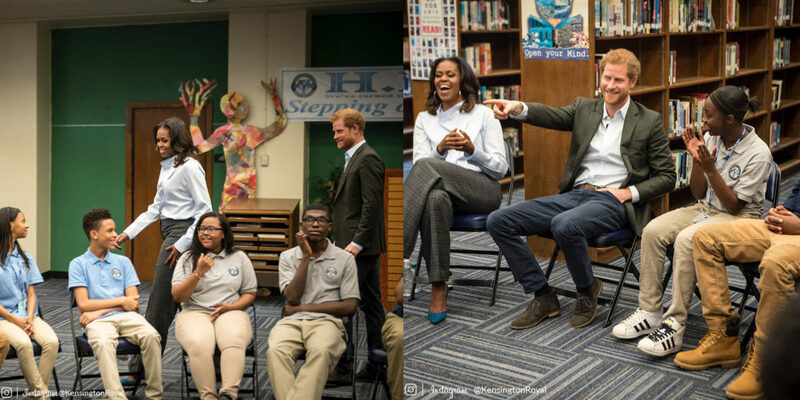 Back in 2017, Michelle and Harry made a surprise visit with high school students in Chicago while the Prince was in town for the inaugural summit of the Obama Foundation. 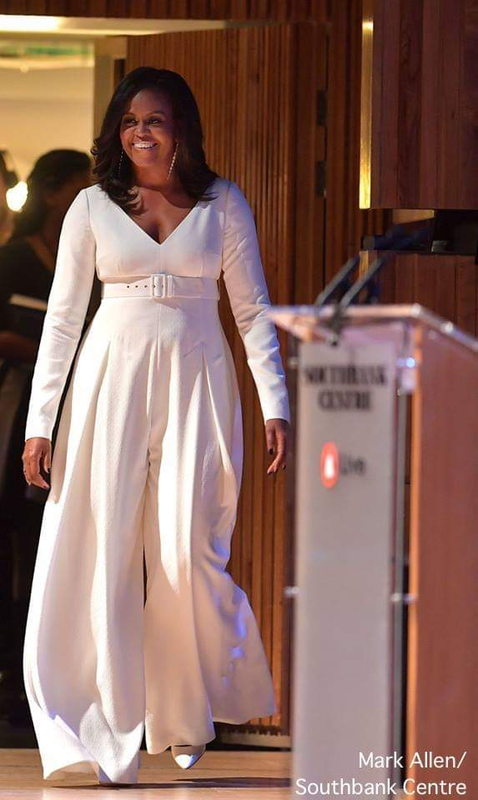 Mrs. Obama was wearing a British designer for Monday’s gathering; she was in a jumpsuit from Emilia Wickstead’s Resort 2019 collection. Tuesday, December 4: On Tuesday night, as the Queen’s Diplomatic Reception was taking place at Buckingham Palace, Meghan and Harry quietly attended an annual event at St. Luke’s Church in Chelsea, London. The gathering raises funds for one of Harry’s favorite causes, The Henry van Straubenzee Memorial Fund. The fund supports schools in Uganda; it is named for one of the Duke’s close friends who died in a car accident. Prince Harry and Prince William are both patrons of the charity. 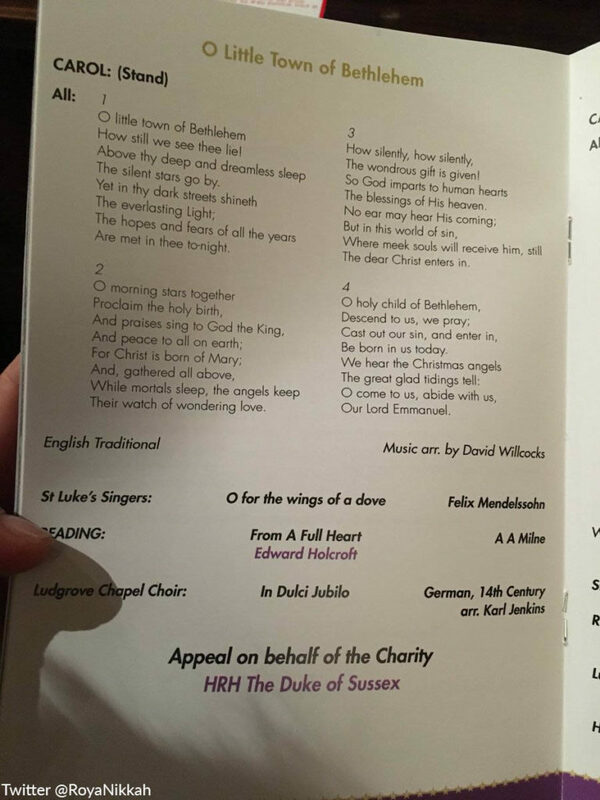 Below, a program from Tuesday’s Christmas Carol Service. Meghan gave a reading at the service, “Our Deepest Fear” by Marianne Williamson. 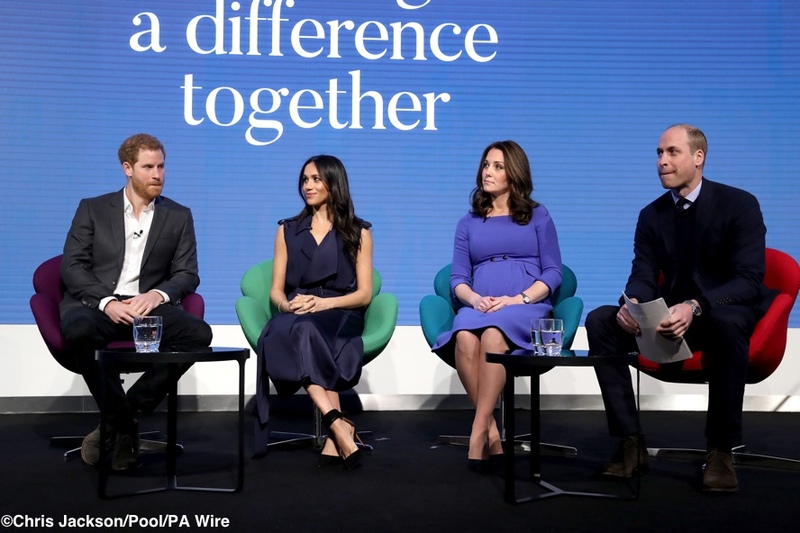 As my wife said many years ago when working on menstrual health and health education, this is not about periods but potential,” he said, referencing Meghan’s visit to India with World Vision in January 2017 to highlight the importance of breaking the stigma surrounding menstruation. He went on to say Henry van Straubenzee Memorial Fund is one of the charities trying to make a difference with “hands-on” programs on the ground. They have built 945 bathrooms in schools especially for girls, he added. 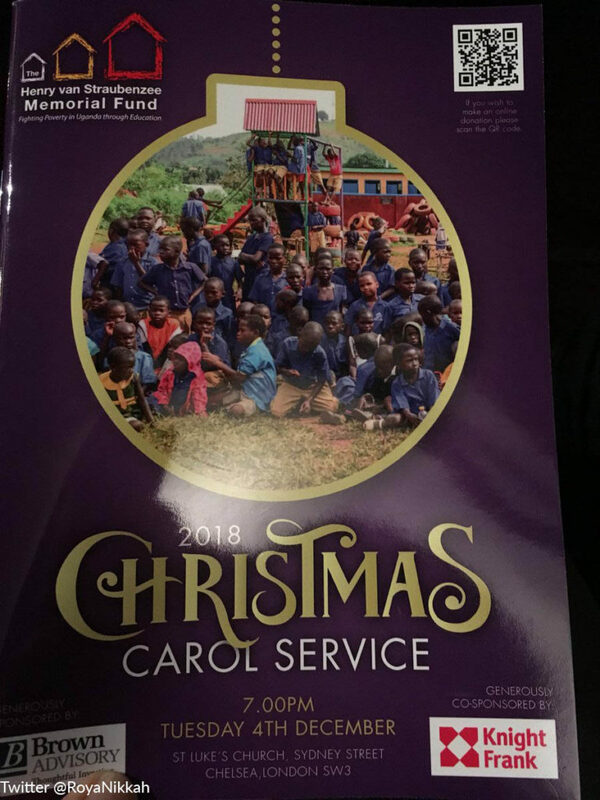 The charity was established as a “memorial to Henry” a “very special friend of mine” who tragically died in 2002 and this is the tenth carol service and, he said. 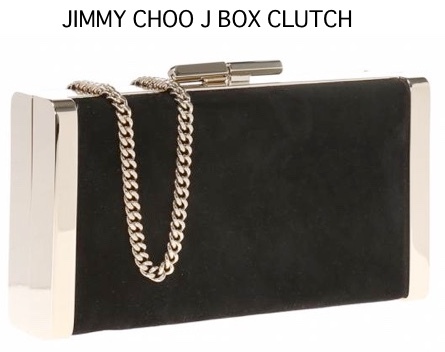 The money raised tonight is a “crucial part of their fundraising plan” of the charity. If you would like to donate to the fund, please visit the site here. You can also go directly to the donation page via Virgin Money Giving. They do accept PayPal. 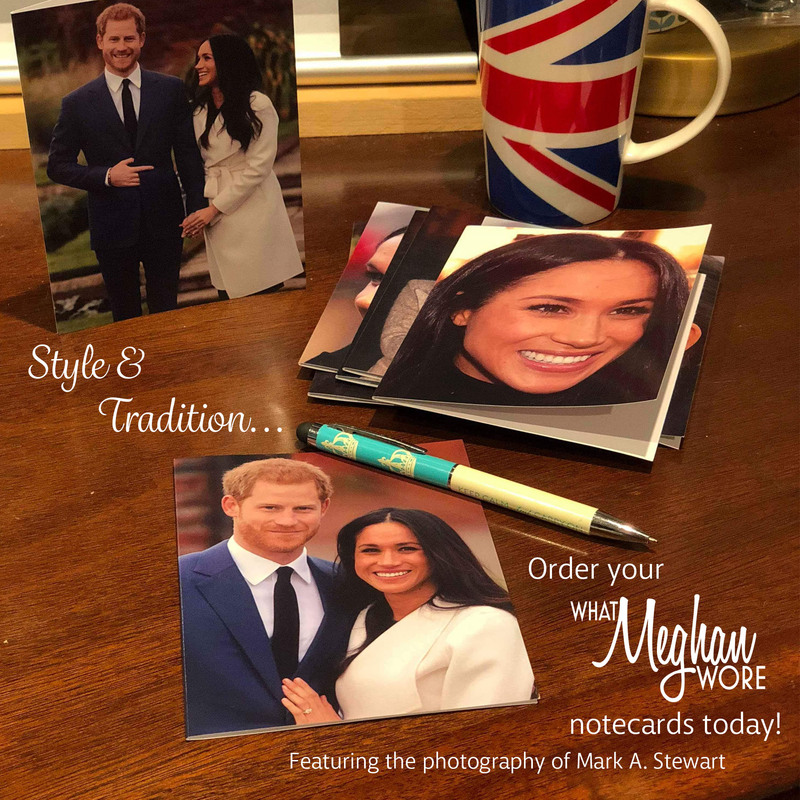 One quick FYI: we know there are some photos of Meghan and Harry on their way to, and from, the Christmas Carol service. Both of us thought they looked somewhat intrusive and we weren’t entirely comfortable publishing them. You can find out more information on The ACU and the event itself here. The Association for Commonwealth Universities (ACU) site can be found here and its Twitter account here. The ACU’s news release about the meetings Meghan attended may be seen here. The full Daily Mail story about Meghan’s charity focus may be read here. Hi! Your instagram has further details about Meghan’s coat and top from the KCL photos. 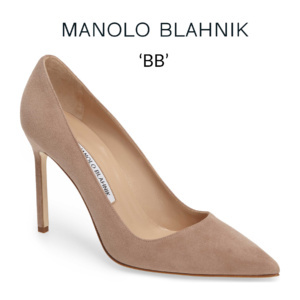 Are those for sure IDs or just suggested duplicates to get the look? Hi, Maureen. In the Instagram graphic we show the Wilfred coat and Boss sweater. We say in the blog post that it looks like Meghan is wearing the Wilfred Cocoon Coat and that we think Elizabeth of Meghan’s Fashion is spot-on with her sweater ID. Is that the information you were looking for, or am I misunderstanding your question? Yes, thank you! Wasn’t sure if they were confirmed by the company and/or if there were other pics out there that provided more images for the ID. I have to commend you for not publishing the photographs of H&M from the memorial service. Kudos to you! Thanks for the update. It has been quiet since the Australia/New Zealand tour. I like the dusty pink coat- the Duchess of Cambridge wore one in that color as well during her first pregnancy (with a similar neckline), and I always thought it is such a beautiful color (pregnant or not)! Meghan is glowing, but she definitely has taken a step back from public engagements. I hope she’s taking some time to rest and enjoy her pregnancy. 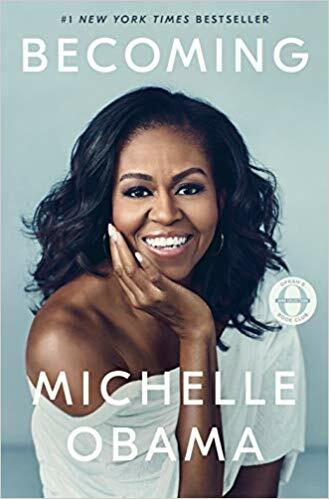 I think she will be well able to deal with the pressure Michelle Obama spoke about if she steps back and gives herself time to build her new life, new home and family. Marriage, motherhood, a new job and a life in a new country are all big life stressors, so I hope she’s focusing on self care, her supportive husband and new baby-to-be. I know she has spoken about hitting the ground running, and she has been doing an admirable job with that, but she has a lifetime of hard work ahead of her. At this stage, I hope she’s able to have a warm, cozy Christmas with family and friends, dream about and plan for that beautiful new baby, and ignore the vitriol that seems to populate social media these days. I have no doubt Meghan will emerge glowing and healthy (and stylish) in the new year, with lots of great causes to support. The Duchess looked beautiful, and the color of the coat complimented her skin tone beautifully. I was also struck by her beauty and business Like approach. Can’t wait to see her officially. 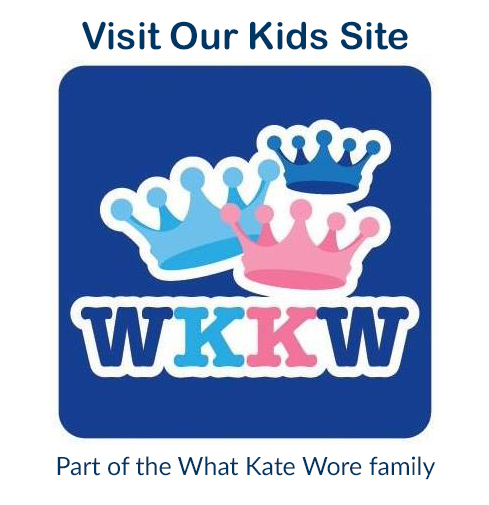 Not Meghan but have to express this to my WMW family … has anyone seen Crown Princess Mary’s outfits the past two days? Yowza! The pink number and then a light blue. Looking very Jackie O and gorgeous in that pill box hat! Love the color of the coat and it looks so good with her complexion. It looks yummy soft. In photos of her I’m always so struck by how beautiful she is — she really photographs well. Grand work they are doing. She’s a strong asset to the Royal family. I am glad that Duchess Meghan met with Michelle Obama, I think that Michelle would be a good mentor for her. The color of the coat is lovely. I hope she lends her royal status to the cause of human trafficking and slavery ….unbelievable that there is such a great need to spot light this evil in our world. I can’t wait to see the Duchess again officially! Sounds like she’s going to be a great asset to the Royal family. It will be exciting to see all the things she’s planning on working on in the future. 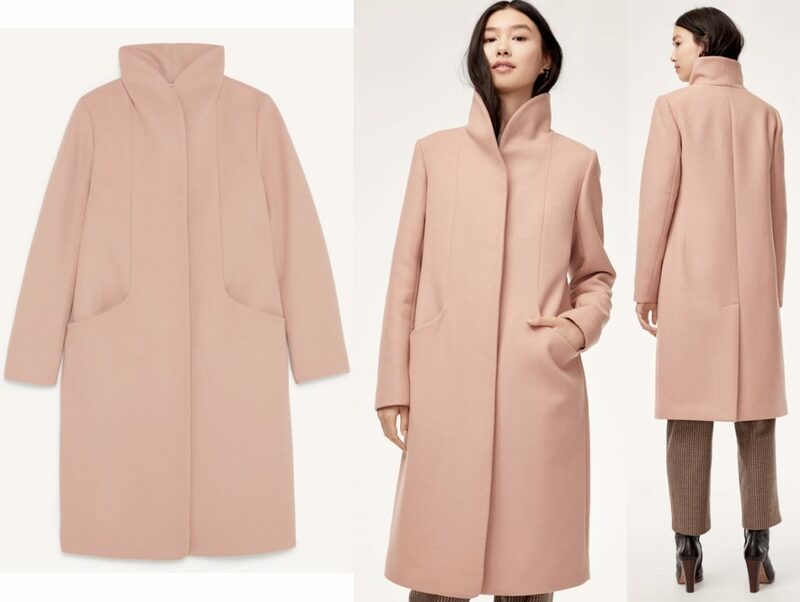 Beautiful wool-cashmere coat in such a pretty soft shade of a dusty pink, “Petale” on Wilfred’s website. The coat also comes in a mid-length version but the long coat is so striking. Exciting to see and hear about Meghan’s work with education, continuation with The Royal Foundation and support of the Memorial Fund in honor of Henry van Straubenzee. Thank you for making note of all of these.